Ingredients : Chilli,sugar,canola oil,shrimp paste,water,salt,monosodium glutamate,dinatrium inosinate,dinatrium guanilate,kokumi seasoning,K-sorbate, natrium metabisulfate. indonesian sambal with the right mixture of chili and shrimp paste that has that authentic homestyle flavour. 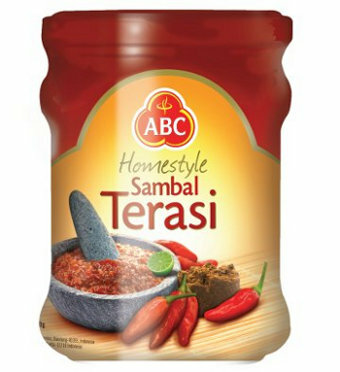 This sambal is suitable for daily dishes and is made from selected fresh chili peppers and shrimp paste.